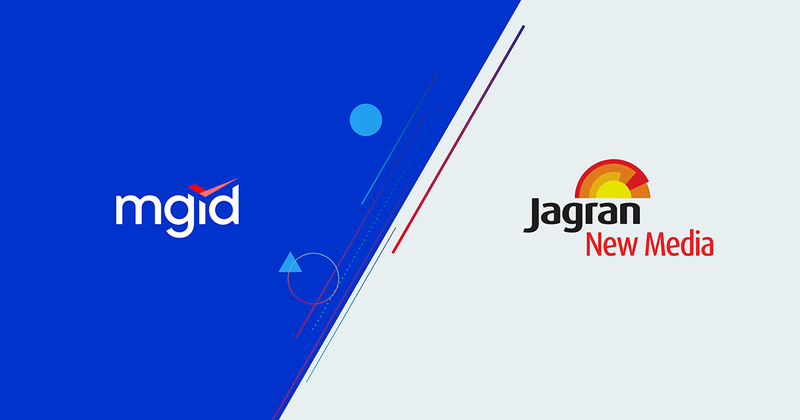 NEW DELHI – MGID, a global native advertising platform, announces its exclusive partnership with Jagran New Media – India’s leading digital media group with a reach of over 40.2 million users. With Jagran onboard, MGID platform now serves over one billion content recommendations daily. This collaboration connects MGID’s advertisers with new relevant audiences of Jagran.com, Jagranjosh.com, Onlymyhealth.com, Mid-day.com and other Jagran New Media websites. What is more, it will help advertisers from India bring genuine value to their consumers’ digital experience by serving them relevant ads in Hindi, the same language as the content of the website they are on. “We are very pleased to welcome Jagran New Media as our newest premium publishing partner. Jagran has a long earned well-respected position in the media world, and we look forward to a long-lasting working relationship,” says Vladyslav Stadnyk, Head of Business Development at MGID. “This partnership is another step for MGID on the way to expanding the company’s reach in the Indian market“ – he adds. “MGID invested time to understand our business goals as a company, and then custom created a tailored solution inline with our brand vision, audience growth strategy, and financial targets. We look forward to a mutually beneficial partnership” – comments Bharat Gupta, CEO Jagran New Media. Founded in 2008, the company has offices in the US, Ukraine and Vietnam, Russia and India.